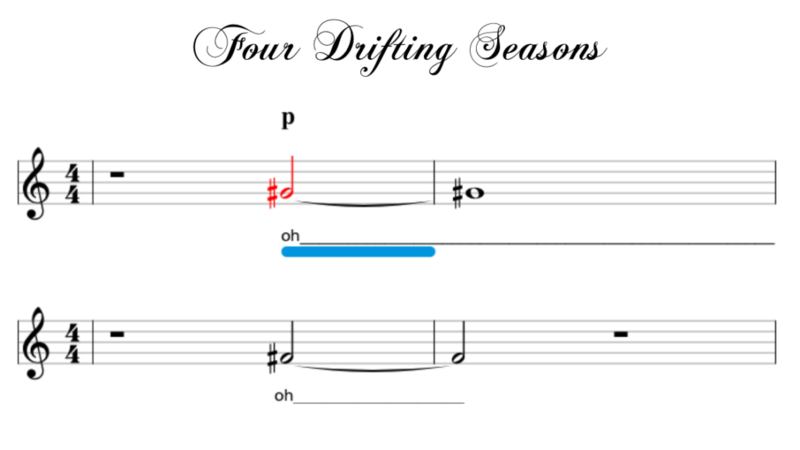 Four Drifting Seasons is a composition for voices by Merlijn Twaalfhoven in which the rise in temperature between the years 1880 and 2017 is made audible. Choirs of all levels can use this composition to allow their audience an experience of global warming. With the use of an app, pitches are played that can immediately be reproduced by the singers. The composition was developed on behalf of the United Nations and premiered during the Concert for a Sustainable Planet at Carnegie Hall, New York on the 18th of September 2017. In spite of an abundance of data and scientific evidence, the issue of climate change is rarely experienced on a personal level. By directly converting the measurement data from NASA into pitch by means of an algorithm, an abstract composition is created full of strange harmonies and spectacular dissonances. Yet the result is very musical and emotionally charged. This can have a huge impact and encourages people to think about how they can help combat climate change. The notes and harmonies that arise are difficult to perform in a conventional way. To solve this problem, in collaboration with Jan Driessen, Killian Elbers and Marco Alkema, the app Conductless has been developed. Conductless makes it possible to perform the piece without having to spend countless hours practicing. This means that the choir members install an app on their smartphone and use it as a replacement for regular sheet music during the performance. All the apps are controlled by one computer that starts the performance and ensures that everything remains in sync. The app clearly indicates what should be sung, both in standard music notation and with audio. 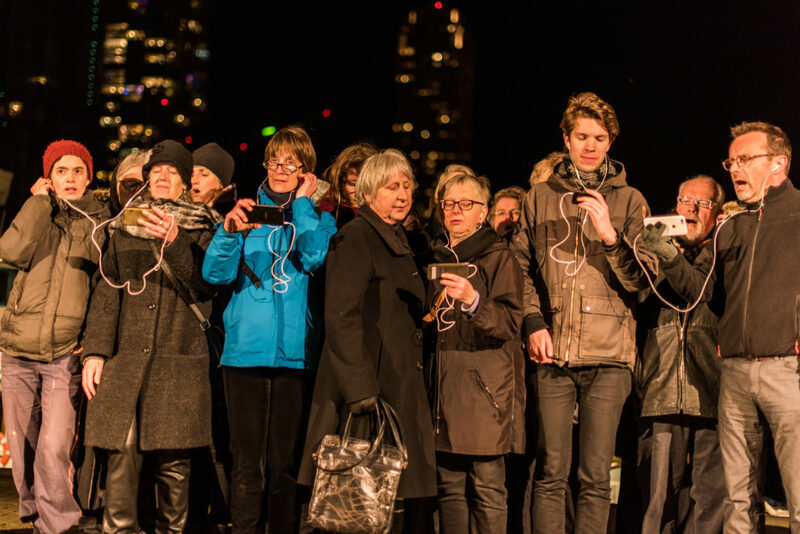 The choir members listen with earphones and sing the tones they hear. By enabling the singers to hear their reference note it actually becomes easy to sing the complex harmonies. There are two versions available: mixed SATB choir and a women/children version (Soprano and Alt). We suggest to do a test round to determine if this is something you would want to perform as a choir. An experienced musician will visit to introduce the piece, explain it and try it out. If you like it, you can perform it at a suitable time, for example during Earth Hour 2018.